VeryPDF PDF Rendering SDK for iOS is a fast and customizable Objective-C framework for reading and rendering PDF files in iPhone and iPad apps. Build PDF reader apps or use it as a PDF viewer in your existing apps. 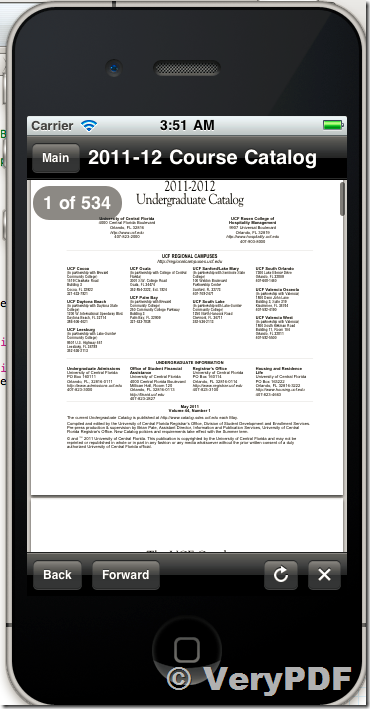 VeryPDF PDF Rendering SDK for iOS is a Powerful Objective-C PDF Rendering for iPhone and iPad apps. 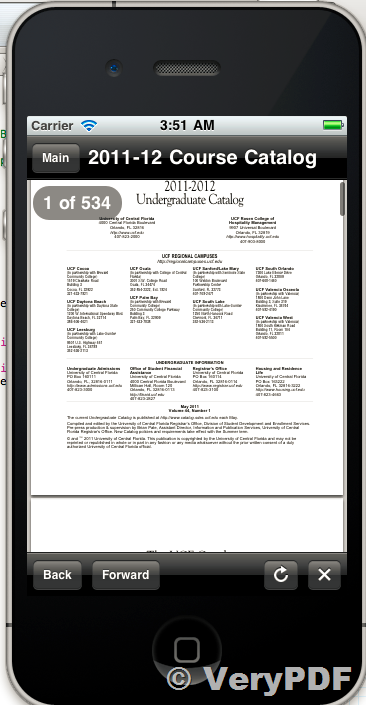 Getting PDF rendering right on the iOS platform is difficult and time consuming. Memory constraints and slow CPU conditions make it very hard to achieve fast PDF rendering. The VeryPDF PDF Rendering SDK is the result of months of development time and years of optimization, providing you with a mature and flexible solution for adding PDF capabilities to your iPhone or iPad app. PDF Rendering SDK provides a robust framework that is easy to use and customize to your needs. With just a couple of lines of code you can create a PDF view controller and display it in your app. The user interface is very similar to the iBooks app and also features a grid display for page thumbnails. For more details please refer to the Features section below. Fast multithreaded PDF rendering using Grand Central Dispatch. Offline pre-rendering of pdf pages at different sizes integrated with the caching system. Double tap to zoom in and out. Double page mode with left or right lead. Optimized for both the iPhone and iPad. Includes a demo Xcode project demonstrating the common usage of the SDK's features. Complete source code of PDF Rendering SDK. The source code of PDF Rendering SDK is developed on Xcode 6.1 with iOS Base SDK 8.1. PDF Rendering SDK works on a deployment target of iOS 7 or greater on armv7, armv7s, arm64 and can be used in ARC and non-ARC projects. 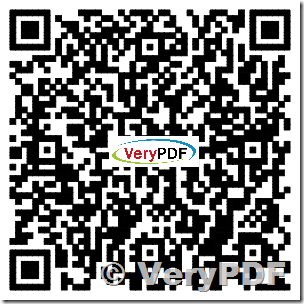 If you wish to purchase VeryPDF PDF Rendering SDK product, please feel free contact to us at http://support.verypdf.com ticket system, we will provide more information to you asap. This entry was posted in VeryPDF SDK & COM and tagged mobile pdf reader, mobile pdf sdk, mobile to pdf, pdf android, pdf ios, pdf mobile. Bookmark the permalink.